So I opened the care package and what did I see, an eyeliner that helps enhance the look of longer, thicker, fuller lashes and a lip balm that de-wrinkles your lips. HOLY COW THIS MAN IS A GENIUS!! I mean I have heard of Latisse (by prescription only) and I have heard of fillers like Juvederm, but a non-medical solution? SIGN ME UP! So I have been using both products for a few weeks now and I can honestly say I love them. The eyeliner is great even as just an eyeliner, but the idea of it having fringe benefits is even better. I regretfully didn't think to do any "before" pictures so I can't really track the progress but hey, even the promise of longer, thicker, fuller lashes sounds good to me. And the lip balm? I am seriously addicted. Not only is it fantastic as a lip balm (very smooth and long-lasting), but I really do feel a difference in my lips- smoother and fuller. Its official, I'm addicted! 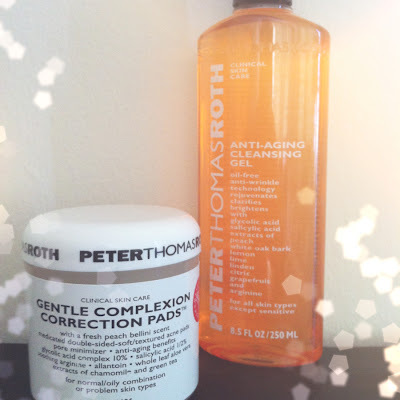 So, because I'm pretty obsessed with Peter Thomas Roth products at this point, I want to share the love with all of you! I have an anti-aging cleansing gel and a package of gentle complexion correction pads that I'll be giving away as a set to one of you lucky readers! The cleansing gel "increases cell turnover to help diminish the appearance of fine lines and wrinkles and detoxifies the pores and improves skin texture as it gently sweeps away impurities that can dull the complexion." 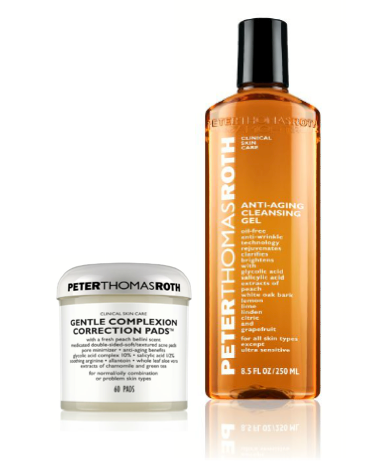 The correction pads do double-duty as both a cleansing pad on one side and an exfoliant on the other. I mean, hello, whats not to love?! 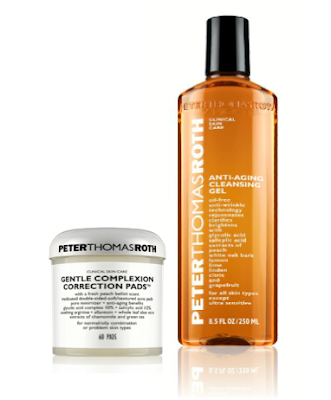 So to enter to win this fabulous set from Peter Thomas Roth, you need to start following our blog (the form to the right) for one entry and then for an extra entry, you can "like" our Facebook page. If you already follow our site, let us know in the comments section and we'll include you in the draw. The winner will be announced Wednesday, May 23rd. I'm following the blog and I like your facebook page. These products look awesome! 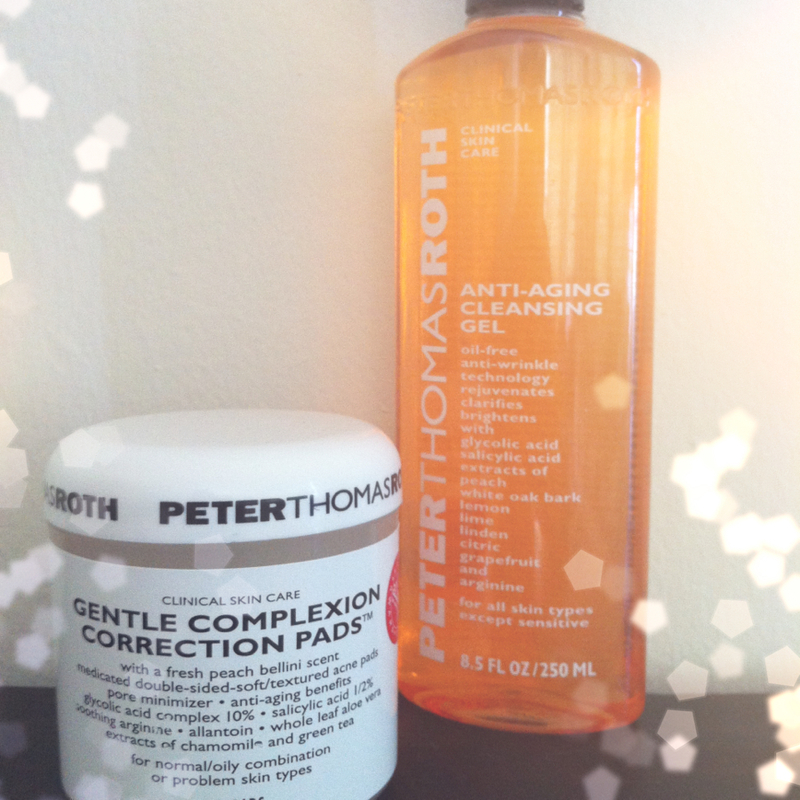 I fell in love w/ Peter Thomas Roth products after I received a sample of their Resurfacer- wow! Their products work!!! I follow you via GFC. A friend of mine gave me a sample of their resurfacer and it is fantastic! Great work with the blog, ladies! It's been great reading your posts. Liking you now on FB! Thanks so much for commenting!